Manufactured components haven’t had widespread adoption in the home building sector—yet. If you want to be ahead of the curve (and saving tons of money and time, unlike your competitors), now is the time to find out how you can take advantage of prefabricated panels and trusses. Manufactured trusses and panels are created in a factory, meaning they are free of the damaging effects of weather. Additionally, it means that trusses can be made night or day, first shift or third, unlike in residential construction, where work at night will upset the neighbors and violate noise ordinances. 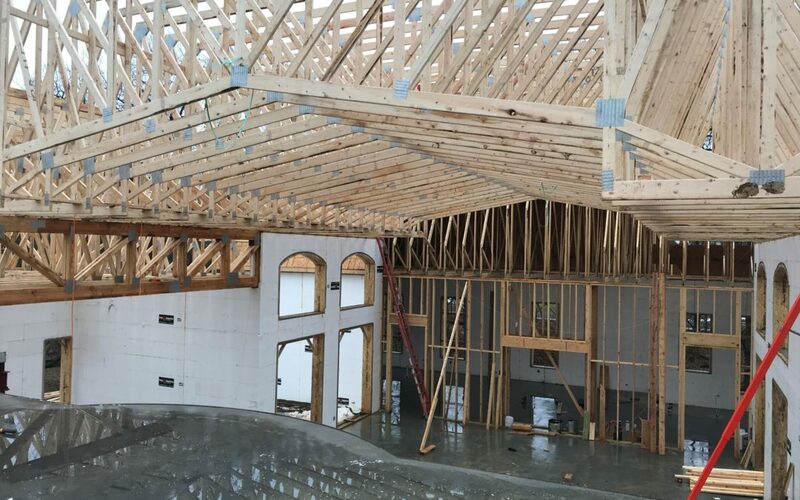 Manufactured components are delivered to your site and easily installed without specialized labor (unlike building roof trusses on-site, which is a skilled job). The less time spent on the job site, the less your labor costs will be and the quicker job turnaround time will be. This is just simple math, but if you’re benefiting from reduced labor costs, quicker turnaround times, and components created in a controlled environment that will sustain little wear and damage, you’re going to have an advantage over your competitors. You’ll be able to do jobs quicker and take on more jobs, and that means you’ll make more money and have more satisfied customers. Zeeland Lumber manufactures trusses and panels to help you put up houses. There’s no middleman, we build them and we sell them, so you get the best deal and service. Call us to see how our manufactured components can work for your ongoing projects.